Why did you decide to move to France? I travelled a lot when I was racing triathlons. I really enjoyed my visits to Europe and when I retired from professional racing, my husband and I wanted to do something a bit different. What made you choose Morzine? I came to Morzine on a training camp with some fellow triathletes in 2005 when preparing for the French Grand Prix race in Embrun. I had never been anywhere quite like it. I loved the bike climbs, the pool, the lake and the running trails. For us, having such a great combination of training venues made for the perfect location. Do you live in Morzine all year-round? Yes. We came for the summer seasons but have fallen in love with the winters as well. In the summer we run Tri4theAlps, Triathlon and Cycling holidays, and Alps Bike Hire, quality Giant road bikes available to hire. We are also about to launch an Official Spinning Studio through my coaching business Buzz Performance, so it’s all happening at the moment. About 4 years now. We arrived the summer of 2012 and have been back to Australia a couple of times since then, but now we’re starting to call Morzine home! What did you do before moving to Morzine? Before moving to Morzine I lived in a small seaside town, Ulverstone, in Tasmania. Life revolved around triathlon and teaching. I completed a Bachelor of Education at University and taught part time, mainly Health & Physical Education. I had been doing triathlons since the age of 15 and progressed from junior, to age group, to the elite level. I won a Bronze medal as a Junior at the ITU World Championships then as an Elite triathlete finished a season with the World Number 2 ranking in ITU Long Distance Triathlon. I have represented Australia twice at ITU World Long Distance Triathlon Championships and have had three podium finishes in Ironman events. 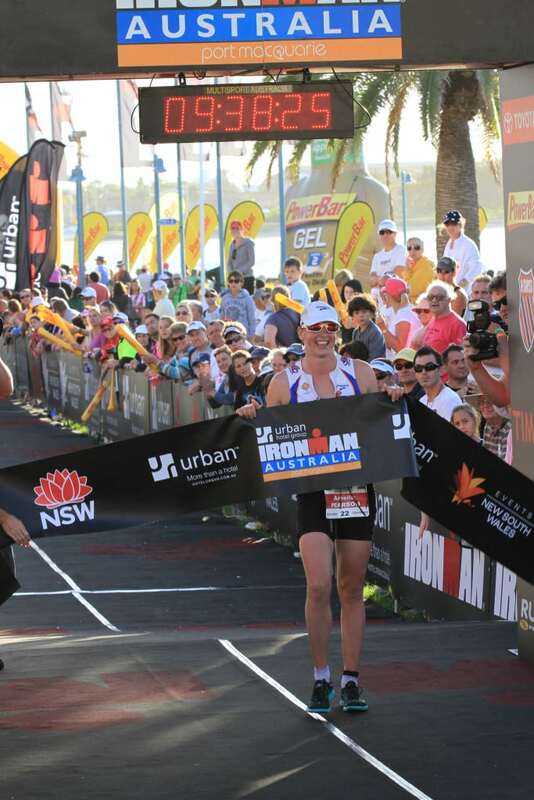 Ironman was my favourite distance and my personal best time is 9hours 36minutes. So between training, racing and teaching and travelling there was little time for much else. Did you speak any French when you arrived? Did you study French at school for example? I was a real beginner when I came to Morzine. I had done a 1 term (12 weeks) “taster” of French in Year 7 as a 12 year old, we learnt to say Bonjour & Au revoir and count from 1 to 10. Being in Australia it didn’t seem so important to be able to speak a European language, it seemed so far away. Of course now I wish I had chosen it as one of my subjects but having the Alpine French School here has offered a great opportunity to start from the beginning. What courses have you taken with Alpine French School? I have completed a few French Intensive Courses as well as having some weekly lessons. I really want to keep up regular lessons to keep improving. How have you found the courses? The courses have been great. I was very nervous at first but the teachers are very supportive and encouraging. The lessons are practical and interesting, and I leave with more knowledge each time. The intensive courses certainly live up to their name but at the same time the lessons are relaxed and interactive and the time just flies by. What do you most enjoy about taking a French Intensive Course at Alpine French School? In each of the intensive courses I have taken the atmosphere has been really friendly and encouraging. The group sizes have been small so you get plenty of attention from the teachers and everyone is encouraged to speak & listen in a supportive environment. Because of the small group sizes the content of the lessons have been tailored to suit individual interests, which has made learning so much more interesting and easier. What do you do to try and speak French outside of the classroom? I am getting more confident with my French after each lesson. I visit places listed on the Friendly French Program and try and speak only in French in these shops. When I can I also join the schools workshops, such as pronunciation and conversation classes I’m hoping next year I’ll be able to join the book club!